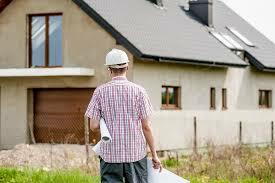 Home » Publications » Looking to renovate – what actually needs Councils approval? Looking to renovate – what actually needs Councils approval? This question is often one of the first that comes to mind when you’re considering undertaking home renovations or a new building project on your property and there are plenty of “urban myths” about what work on your property requires council approval. Some of these include “You don’t need approval if the work costs less than $10,000” and “You don’t need approval for internal alterations”. The real answer will depend on both the extent of the nature of the work you intend to undertake and the planning instruments that affect your property. Checking out what planning controls affect your property BEFORE you commence planning for any renovations or building works will ensure that you’re fully aware of the conditions that will apply and likely save you from making costly errors or exposure to prosecution. If your proposed project doesn’t fall under either Exempt Development or Complying Development you’ll need to lodge a Development Application (DA) with your local Council. In these circumstances you’ll more than likely need to engage the services of an experienced architect or planning consultant to assist you to navigate the DA process. It’s also a good idea to make contact with your neighbours before you lodge your DA and let them know what you’re intending to do on your property as part of the Council’s assessment of your DA will involve them notifying residents in your immediate local area to find out if they have any objections or concerns about your proposed development. Many Councils also offer a pre DA lodgement service which will enable you to identify and if possible resolve issues “up front” so as to avoid delays in the assessment and approval of your DA. If Council refuses your development application, you have the right to appeal the refusal. There are different appeal types and how you proceed will depend on your individual circumstances and what you’d like to achieve. The most cost effective avenue of appeal is a section 82A review under s82A of the Environmental Planning and Assessment Act 1979 (EPA Act). This is an internal review of the decision of the Council’s decision. Upon making an application for a section 82A review, a different Council officer must review the determination and come to a view on whether the decision to refuse should be upheld, or if your proposed development should be approved with conditions. Whether or not you go down the road of a section 82A review, you have the option of appealing the decision in the Land and Environment Court in Class 1 proceedings. This is a more expensive process and usually involves a hearing before a Commissioner of the Court. Commissioners are a special type of judge with specific planning, environmental, legal or other relevant expertise. Strict time frames apply to appeals under the EPA Act with respect to development applications. Time is of the essence and if a development application has been refused you should call us immediately in order to preserve your rights of review or appeal. If you or someone you know wants more information or needs help regarding building approvals on a residential property or advice about planning matters, please contact one of our accredited property law specialists, John Bateman, Michael Battersby or Scott Johnson on 02 4731 5899 or email property@batemanbattersby.com.au.